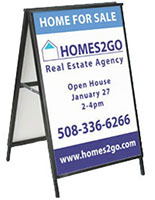 Place this portable sidewalk sign holder on the curb side for foot traffic to see! 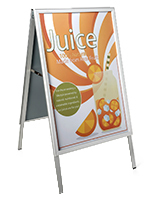 Position the sandwich board outside your shop or restaurant and load with (2) 24” x 36” posters. 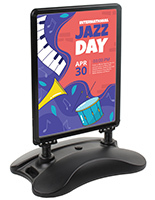 The double-sided sidewalk sign holder helps improve foot traffic into your establishment. 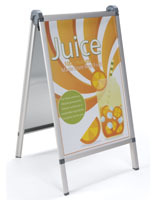 Each sandwich board includes protective PVC lenses which secure beneath the snap-open edges. 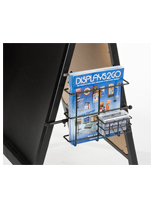 Intended for outdoor use, the aluminum frame makes an optimal option for the curb in front of your shop. 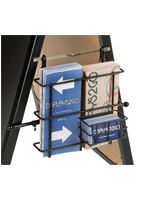 Insert marketing posters on both sides of this sign holder for visibility from either direction! Please Note: Product is not intended for use in inclement weather, including high winds, rainstorms, extreme heat or snow storms. 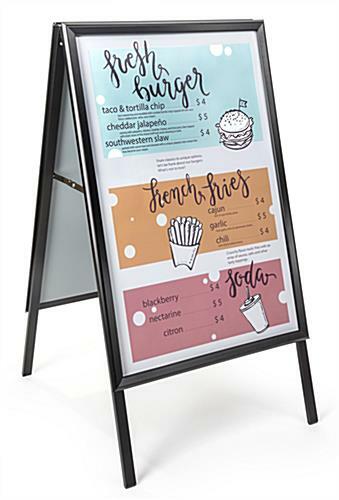 25.8" x 45.6" x 28.5"
25.8" x 47.5" x 3.0"
Historically, I have never had much luck ordering A-Frame signs online and actually receive one that did not break within the first few times using it. 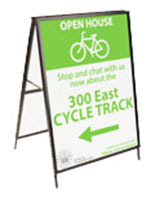 However this sign is made from sturdy material and I can feel the difference when toting it around for events. 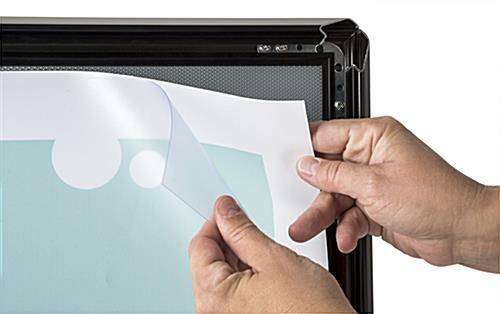 The seemingly weatherproof cover helps a lot regarding protecting any signage you place inside. It's a good deal! Thanks for the great review, Olivia! 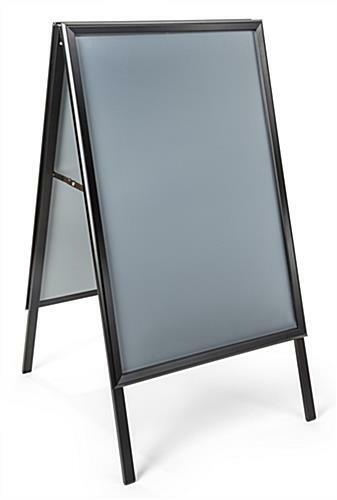 We're sorry you haven't had much luck with A-frame signs in the past, but we're glad you found ours! 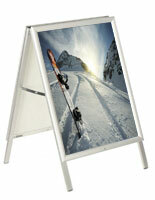 We pride ourselves on providing high-quality, durable products, and this sign is built to last. We hope you shop with us again soon!